Indeed! John Dooley PGA offers beginner golfers a starter pack deal for clubs and golf lessons. Certainly, the offer is directed at people that would like to take up playing golf and starting with excellent golf lessons. Notably, learning to play golf can be challenging at times and it is important to get off on the right foot. Essentially, golfers will enjoy a series of golf lessons with the right set of clubs to suit your new golf swing are a must. 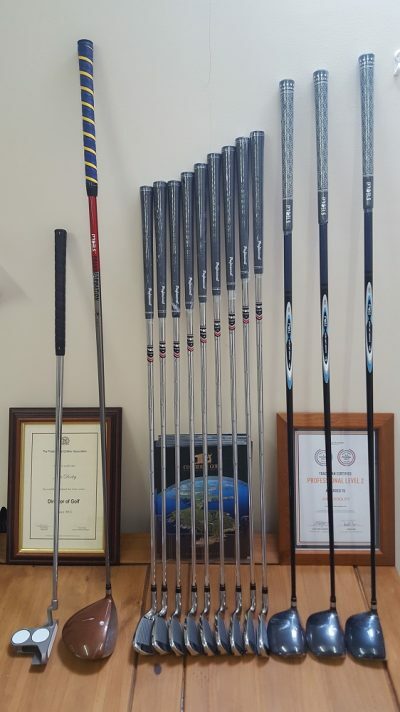 The deal on offer is for 9 irons, from 3 iron to Sand-wedge, a putter and four woods ( from a seven wood, a five wood, a three wood and a driver). Indeed the golf set is an ideal for guys and or girls beginning to play golf. Currently, the golf clubs are on offer in both left-hand and right-handed sets. I would suggest that this is a deal worth investigating without paying out a large outlay.The price for the clubs and the golf lessons is €360.00. Finally, please contact us today to purchase the golf club. Our contact info: John Dooley at John Dooley PGA at 0879277997. Please click HERE for more information about a recent golf driver trackman test.